On September 7th, 2015, T.E.A.L. 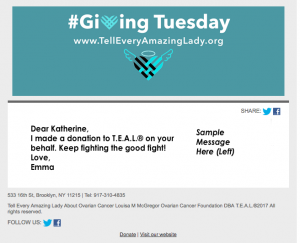 volunteer and Savannah ®T.E.A.L. 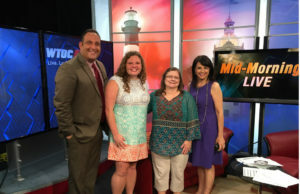 Walk organizer, Mandy Irvin, and her aunt, Stacey Rowell, an ovarian cancer survivor, appeared on the WTOC Mid-Morning show to talk about their goal of increasing awareness about Ovarian Cancer and celebrating survivors through their 2nd annual T.E.A.L. 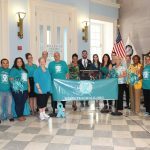 Walk in Savannah, Georgia on September 19th, 2015. Check out the news clip here.